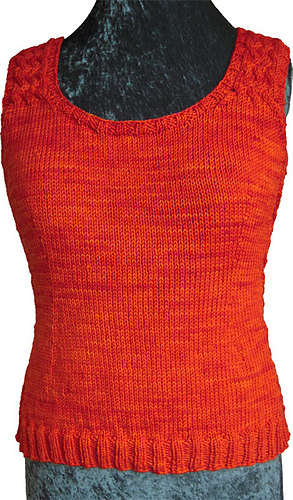 Top is knit in the round from the hem up. 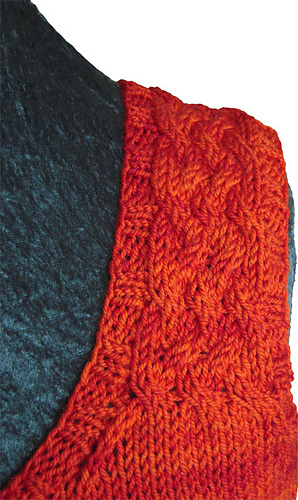 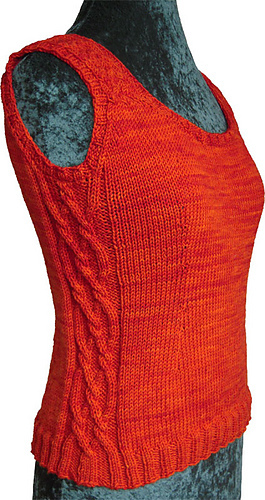 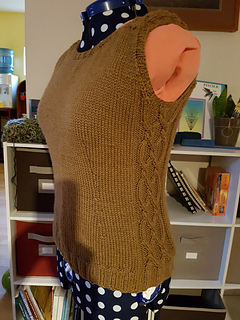 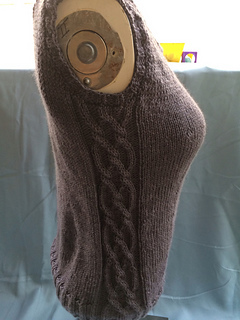 Front and back are knit separately from the armholes up. Straps are cabled as well, and are knit extra long to join at the back of the top, instead of at the top of the shoulder.